When you make an appointment with your orthopedist to report back pain, most doctors assume you are referring to lower back pain. Be sure to be specific! After all, while most back pain seems to occur in the lower back, upper back pain can be just as debilitating as pain in the lower back. If you are wondering whether to classify your back pain as being in the upper or lower back, and what may be causing your upper back pain, read on. What Is Considered Upper Back Pain? The lower back, or the lumbar region, includes the five lowest vertebrae. 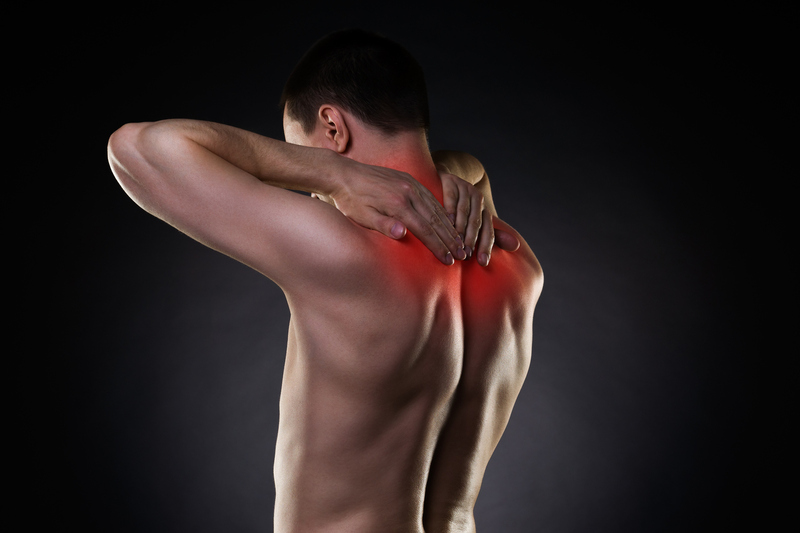 Pretty much any pain that occurs above that area can be classified as upper back pain. The so-called upper back or thoracic spine includes the rib area and vertebrae that attach to it. Of course, the muscles and ligaments that support and hold the spine in place can also become stressed and cause pain. And typically, neck and shoulder pain can be described as upper back pain, too. How Can I Trace Back Pain? Upper back pain can be dull and constant, or sharp and stabbing. The type of pain you are feeling is a clue as to what is causing it. Ask yourself if the pain is constant, or only present when you move. Also, consider when it started: Were you chopping wood or stripping wallpaper – activities that you usually don’t do? Did you start a new kind of sports activity, or even change your bed or pillows? On your next visit to the doctor, be prepared to describe the nature of your pain, how you believe it could have started, and how intensely you feel the pain. Your flank is located above your abdomen, in the area you might associate with your upper back, and pain in this muscle is usually felt on one side. Flank pain is sometimes misunderstood because it’s not a common term, but it can be a sign of kidney injury or disease. Symptoms also can include fever, chills, and the need to urinate urgently. One common cause of flank pain is kidney stones. If you have pain in your flank area, call your doctor and make an appointment to come in and be examined. Most of the time, upper back pain can be treated with over-the-counter, anti-inflammatory medications, massage, or warm compresses. If the pain persists after more than a week or so, it’s a good idea to see a doctor to get a thorough checkup. For more information, and to schedule a consultation, call us today at (303) 238-4277 or fill out our appointment request form now so we can get started. We look forward to hearing from you and helping you get back to the active lifestyle you enjoy.